Launched in 1958, the DB4 was a significant change for the (at the time) small British manufacturer . The DB4 is often said to be state-of-the art and ahead of its time. The specification included a new steel platform chassis with disc brakes all round and a twin-cam 3.7l straight six engine, engulfed by the fastback aluminum body. The competition variant of the DB4, the GT, was formally launched the following year and went on to win its first race in May 1959 at Silverstone, piloted by Sir Stirling Moss. The GT was developed to be shorter, lighter and more powerful. Thus the wheelbase was reduced in length by 13cm, weight was reduced by 91kg and the engine was modified to feature a higher compression cylinder head, breathing through triple Weber carburetors. The GT is noticeable by its flared-in headlamps, which was later transferred to the DB5. The rear windscreen is made of plexi-glass and boasts quick-release “Monza” fuel filters. 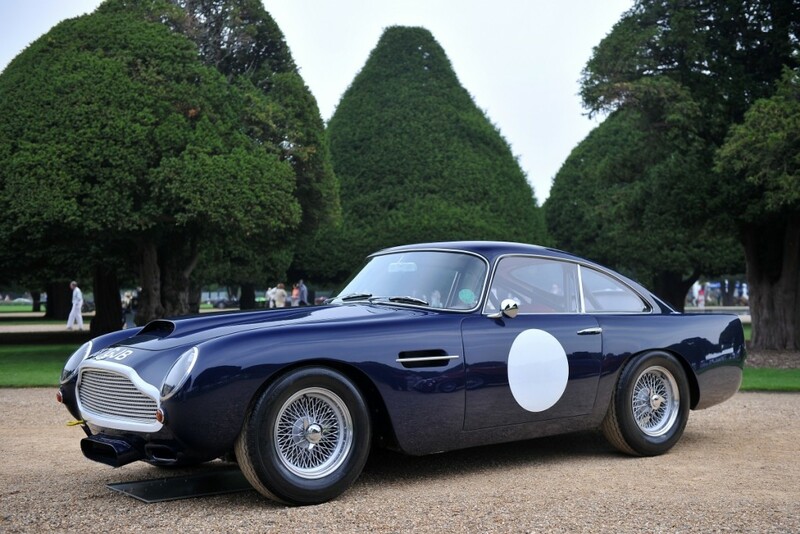 Today the DB4 GT is a popular sight at historical racing events. The car pictured above regularly competes at events such as Goodwood Revival, as well as it being famously driven to victory at the same circuit in 1950 by Sir Stirling Moss.